This is such a nice change from all the usual pear or tear drop shaped briolettes that are out there! This wonderfully minimalistic necklace really pops color wise with its made in USA 12 karat gold filled flat cable link chain (the wire is 14k gold filled though) paired with the lovely blue. 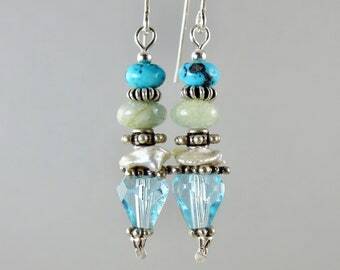 This top quality moss aquamarine hexagon drop measures about half an inch in diameter at its widest. 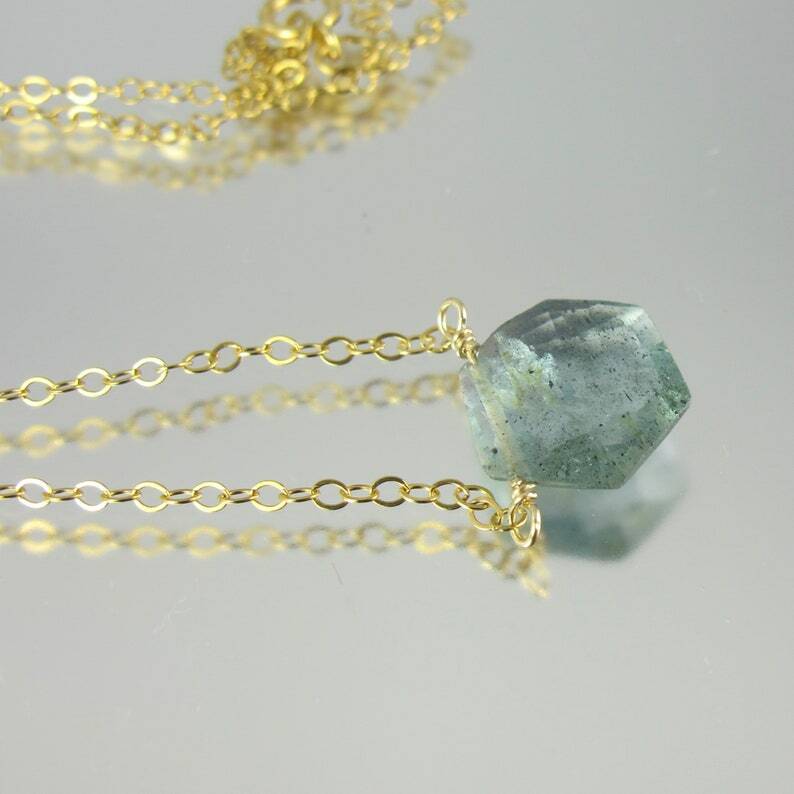 Moss aquamarine is supposed to be a name given to aquamarine that has black iron inclusions in it that resemble moss. Moss aquamarine should be fully transparent, blue, and look like it has black pepper sprinkled inside. I see so much offered out there that is called moss aquamarine and it is either terrible quality, or not blue in which case it should just be called beryl, or it is missing the signature iron inclusions. 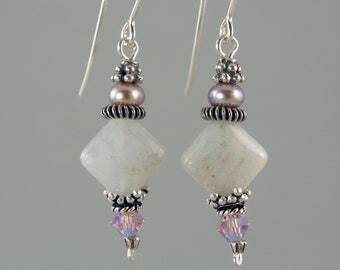 I can also make this necklace out of sterling silver which would cost less, and I can make this necklace with a really unique lavender scapolite drop. I can make a this necklace in gold vermeil if you prefer that to gold filled. 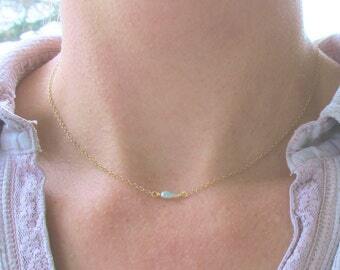 This necklace is short enough and dainty enough that it would be great for layering with other necklaces! 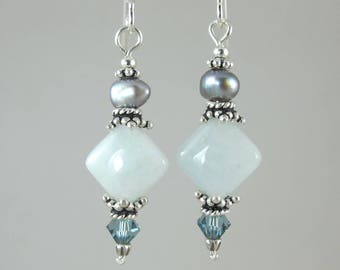 Great for that March baby as aquamarine is the birthstone for March! As with all our offerings this item ships free domestically.